With respect to sail materials, the term Dacron® is commonly used to refer to a woven cloth made of polyester fibers. More correctly, Dacron® is a registered trademark of DuPont, and refers specifically to a DuPont developed polyester fiber. In a similar manner, with respect to sail materials, the term Mylar® is commonly used to refer to a polyester film, and, again, Mylar® is a registered trademark of DuPont, and refers specifically to a DuPont developed polyester film. There are basically two types of sail materials used in hang glider sails – woven polyester fabrics and composite laminated fabrics that use some combination of polyester film and polyester or other reinforcing fibers. Wills Wing primarily uses premium fabrics made by Dimension-Polyant, widely recognized as the leading sail cloth manufacturer in the world. These are the most commonly used types of sailcloth. 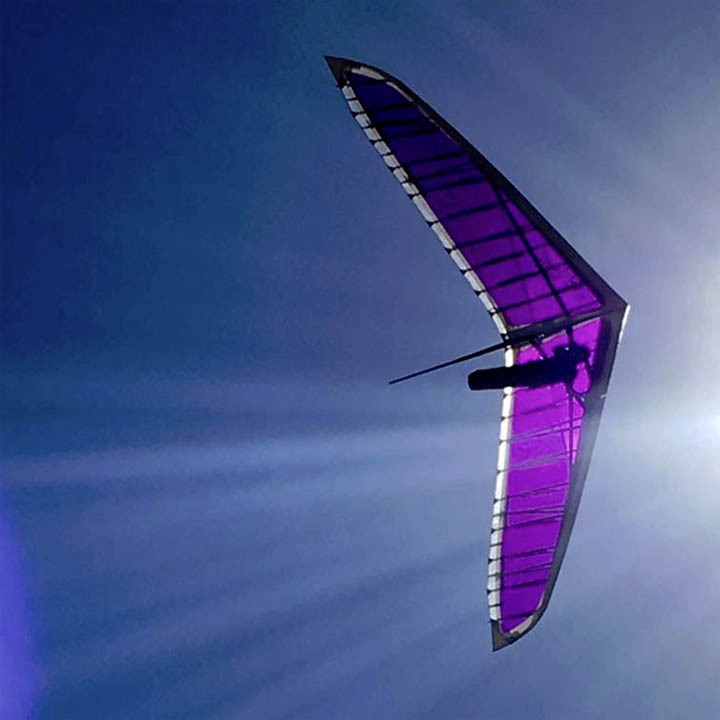 They form essentially the entire sail on gliders like the Falcon, and are typically used in the bottom surface and mid-chord top surface of many other model gliders. They are a very tight weave of small diameter polyester fibers, which is subsequently stabilized by the hot-press impregnation of a polyester resin. The purpose of the resin impregnation is to provide “dimensional stability” which is the resistance to distortion or stretch of the material along the “bias” – in other words, at some angle to the two perpendicular directions of the threads that form the weave. This resistance to bias stretch is important in maintaining the aerodynamic shape originally designed into the sail, when the sail is placed under varying loads. These materials are relatively light in weight, moderately elastic, and have good durability. They provide the best combination of light weight and durability in a sail with the best overall handling qualities on those models where very high sail tensions are not required. In the V170 designation it has a 4.0 ounce weight, (4 oz per sailmaker’s yard – 28.5” by 36”, or 170 grams per square meter) and comes in white and in a selection of colors. These are two heavier woven fabrics, which utilize a ripstop pattern of larger diameter fibers woven into the regular cloth. These materials come in white only, and are typically used on the leading edge panel and / or trailing edge panel of higher performance gliders, or other gliders where the sail is subject to higher loads or where greater durability is desired. 205 MT, which has a weight of 4.9 ounces per sailmaker’s yard, is the standard trailing edge fabric on the T2 and U2, is a no extra cost option for the leading edge on the T2 and U2, and is an extra cost option on the Sport 2 and Falcon 3 (except Tandem panel 4, which must be 240 MT). 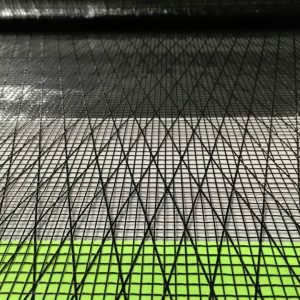 240 MT, which has a weight of 5.7 ounces per sailmaker’s yard, is the standard trailing edge fabric on the Falcon 4 Tandem, and is available as an extra cost option on the leading edge and trailing edge of the U2 and T2. These several of what are commonly called “Mylar®” sailcloth. They are not available in colors, and will be either “mostly clear” or white depending on cloth construction. Laminated sail materials using polyester film have been used for many years in hang glider sails. The original inspiration for the use of these fabrics was an attempt to achieve superior performance by using a lower stretch material that was still relatively light in weight. In high performance hang gliders, limiting spanwise twist is a key component of performance, and twist is generally controlled by sail tension. The disadvantages of the polyester film fabrics have been that the reduced elasticity under load has generally resulted in “stiffer,” less responsive handling qualities, and that the polyester laminated fabrics have been, historically, not as durable or long lasting as woven fabrics. The current generation of laminated fabrics are vastly improved over those of even ten years ago, however it is still generally the case that a premium woven fabric will outlast even the best laminated materials. UVX15T / UVX15 are similar in construction to PX15T / PX15 but with a wider x-ply. UVX15 is currently available, UVX15T is no longer available. (Xply fibers oriented at 30 degrees) and with the special UV Mylar film. Also they have the titanium dioxide pigment which renders the material white in color and opaque. UVX15T (with a taffeta backing) was in use for sails made between April 2011 and mid-March 2012. After that it was replaced by UVX (without taffeta, and with a thicker 1.5 mil Mylar film on the backside). Can be selected for Panel 1 on a U2 or T2 as an option. No upgrade charge on T2C. UVPXB05 Clear looks very similar to UVPXB10 but it’s a little lighter and the best laminate choice for Panel 1,2,3 and 4 of U2s, S2s and Falcons.  These 2 lightweight laminates are exclusively for the bottom surface Panel 6 window. The clear-black configuration looks like UVODL04. We have a limited supply of the purple version. UVPXW10 White is the same construction as UVPXB10 but looks like and replaces UVPT White. It’s included in the price of a T2C and is an option for Panel 1,2,3 and 4 of U2s, S2s and Falcons. 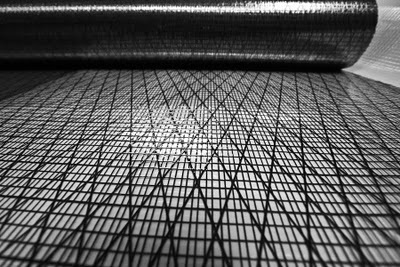 Same construction as PX10 (like PX10T but with no taffeta layer) but both the rectangular scrim and X-ply fiber is Technora which is three times stronger than polyester fiber. (Prior to 2012, ODL06 did not use the UV protected mylar film. On all sails with ODL06 cut after November 30th, 2011, the material used was the newer UVODL06 which does feature the UV stabilized mylar film). Same general construction and appearance as UVODL06, but a slightly lighter weight material. Carbon reinforcing tape is used with UVODL04 to provide additional strength and resistance to stretch along the major tension lines. Generally results in lighter, quicker handling. There is no dramatic difference in the handling among the different Mylar materials, or between the Mylar materials and the heavier woven materials like 205 MT and Hydranet. Where there is a difference, the lightest woven fabrics and laminates tend to have the nicest handling. We strongly recommend an all-mylar top surface on T2/T2C models due to the high sail tensions. 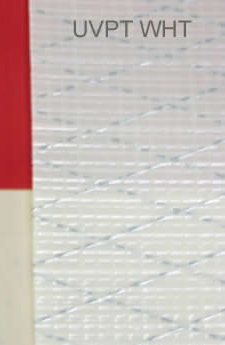 Conventional Mylar laminates are inferior in durability to woven materials. The Mylar laminates that use our special UV stabilized film have shown comparable durability in geographic regions subject to strong UV exposure and superior stretch resistance compared to woven alternatives. The recommended “top drawer” materials choice for a T2C is UVX15 or UVPX in the P1 panel and UVODL04 in the P3 and P4 panels. Any Wills Wing fabric with the UV prefix in the name uses a special UV stabilized Mylar film that is highly resistant to UV deterioration. 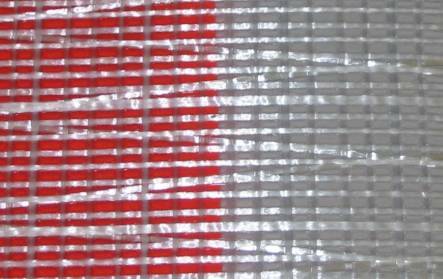 Any of the Wills Wing UV WHITE fabrics also include titanium dioxide in the fabric dye that offers addition UV protection to the underlying substrate fibers, however, because it is the top layer of Mylar film that is exposed to the highest intensity UV radiation, the most important factor in extending the longevity of a Mylar sail is the use of the special UV resistant Mylar film in this outer layer. This special film is only available on custom laminates and not available from most other manufacturers. For competition pilots, or any pilot who flies a high percentage of the time with the VG set at the tighter settings, the lowest stretch materials (the UVODL04 with carbon and UVODL06) provide the greatest reduction in twist and the highest performance. Mylar materials in general will exhibit lower elasticity and therefore lower twist than woven fabrics at tighter VG settings. At lower VG settings, there is no significant performance advantage based on sail materials selection. Best combination of handling, performance and durability is obtained with an all woven top surface. Mylar laminates do not provide any measurable performance increase, sometimes have a little stiffer handling and may contribute to an elevated stall speed when wet. UVPXW10 or UVPXB05 panel 1 with UVPXB05 panel 3 and 4. Best handling is obtained with an all woven top surface of 170 weight material. Mylar or heavier materials will not provide any measurable performance increase. 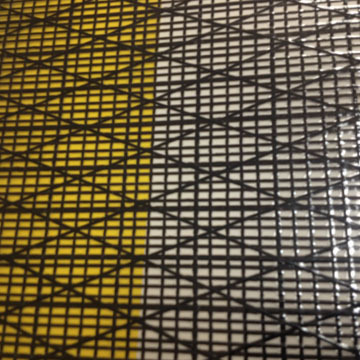 UVPX (B or W) Mylar material is an available upgrade on Panel 1 (leading edge) and Panels 3/4 (sail body). Heavier Materials on Panel 1 and 4 will provide increased durability at the likely expense of some degree of handling responsiveness. 210C WHT and 211 WHT are 4.9 ounce weight woven fabrics that were used where additional durability is desired. Starting in 2011, first IU200 White, and later 210C WHT became the default material used on the #4 Panel (trailing edge) on Sport 2’s and Falcon 3 145’s, 170’s and 195’s, and on Panels 2 and 3 on Falcon 3 Tandems. Starting in June 2014, 210C WHT was replaced by 211 WHT. The use of these fabrics was discontinued in June 2015. UVPXB10 Clear is almost indistinguishable in appearance from UVODL06 but is more economical. Used on Panel 3 & 4 only – must be used on both 3 & 4 together – CANNOT mix GREY and WHT on same glider. added layer of lightweight taffeta on the underside. All-Mylar top surface is not an available option on a Sport 2. May be Selected on Panel 1 on a U2, T2 or T2C at no extra charge. 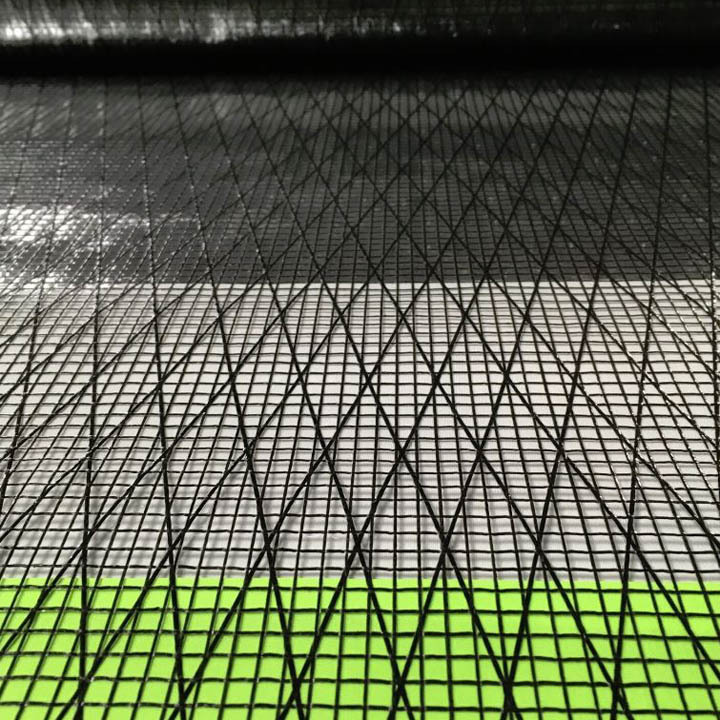 Hydra-net® is a trademark of Dimension-Polyant, and refers to a tightly woven high tenacity fabric with an integrated ripstop pattern of Spectra® fibers. 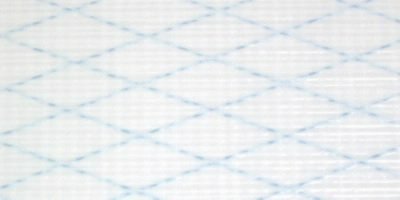 The use of these Spectra® reinforcing fibers in a relatively light-weight cloth provides the structural performance and durability of a heavier cloth with the superior handling of a lighter weight material. 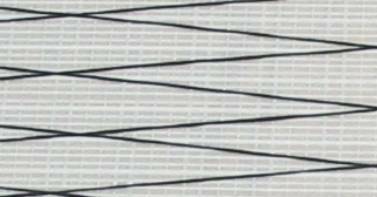 Hydra-net 200 comes in white only, and is an upgrade option for the trailing edge panel or leading edge panel on the Sport 2, T2 and U2. Same construction as PX10 (like PX10T but with no taffeta layer) but the fiber is ‘PEN’ which is twice as strong as the polyester fiber. (No UV protection). Weight about 180 gm/m^2 The weight savings is from not using taffeta. Could be used on T2 or U2 with either PX15T or UVM15T on Panel 1. UVM15TWHT is similar construction to PX15T but with a wider x-ply (white Xply fibers oriented at 30 degrees) and with the special UV Mylar film. Also has the titanium dioxide pigment which renders the material bright white in color and opaque. Could be selected for Panel 1 on a U2 or T2, not avail on Sport 2. Same as the PE10, but with the UV Mylar film and the titanium dioxide pigment. Same as UVM10T (grey) but with titanium dioxide pigment which renders the material bright white in color and opaque.